Ming Tombs consist of a vast field organized according to Chinese geomancy (Fengshui). In this series of hills arranged in horseshoe 7 km wide and 9 km deep rest 13 of the 16 emperors of the Ming Dynasty (1368-1644). 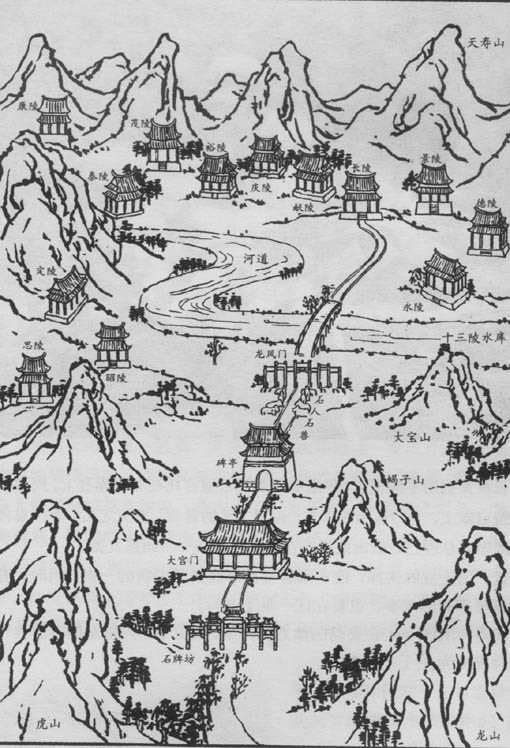 The first two Emperor Hongwu and Jianwen are in Nanjing, capital of the Empire at this time. The Last Emperor Chongzen is buried on Coal Hill, near the Forbidden City. Today, tours are primarily focused on the Changling tombs of Emperor Yongle (1403-1424), who built these tombs, the tombs of Emperor Wanli DINGLING (1573-1619) and the tombs of Emperor Zhaoling Zhuzaihou (1537-1572). Other tombs are protected by railings. Visitors arrive at the Ming Tombs by the Way of the Spirits 神道 Shéndào also called the Sacred Way, which is a very interesting tourist spot. All the tombs were protected by a wall of 16 km and several thousand soldiers. Many rituals were held throughout the year and a whole community was living on the site to maintain it. 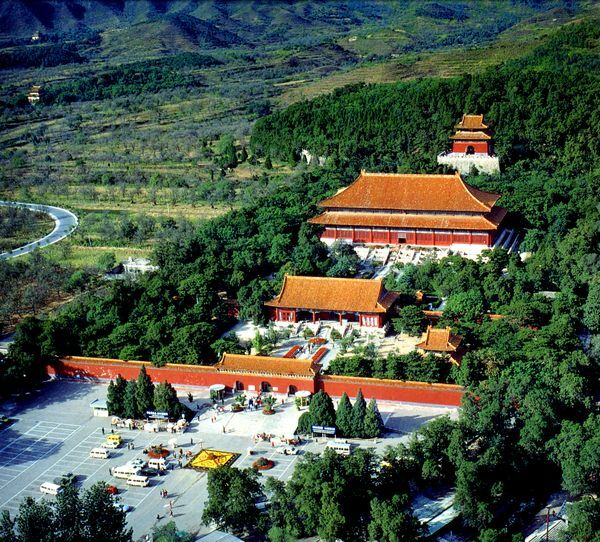 The Ming Tombs are located about fifty kilomètes northwest of Beijing. Visitors can get there by bus No. 314 from Qianmen (south of Tiananmen Square) and Deshengmen. It is also possible to travel by bus (No. 345 of Deshengmen and No. 845 of Xizhimen in front of the subway station of the same name) to Changping and from there take a minibus to Ming Tombs, 10 minutes from Changping. Circuits often combine a visit to the Great Wall and the Ming Tombs and shuttles go back and forth between the two sites. This is the tomb of Emperor Yongle and his wife Empress Xu. It has not yet been excavated. Construction lasted 18 years and was finished in 1427. According to historical records, sixteen imperial concubines were buried alive to accompany their emperor in the afterlife. This tomb is located in the extension of the Way of the Spirits. The set consists of three courtyards surrounded by an enclosure. A circular mound covering the tomb. The whole occupies an area of ​​120,000 m². The front is square and back round to represent the earth and the sky. DINGLING is the tomb of Emperor Wanli (1573-1619) and his two wives. Work began in 1584 when the emperor was 22 and lasted six years. As the emperor was only 28 years, the place remained deserted for 30 years. This tomb is one of the largest with an area of ​​180,000 m². The front is square and back round to represent the earth and the sky. It is also composed of three courtyards. Zhaoling the tombs of Emperor Zhuzaihou (1537-1572) and his three wives.